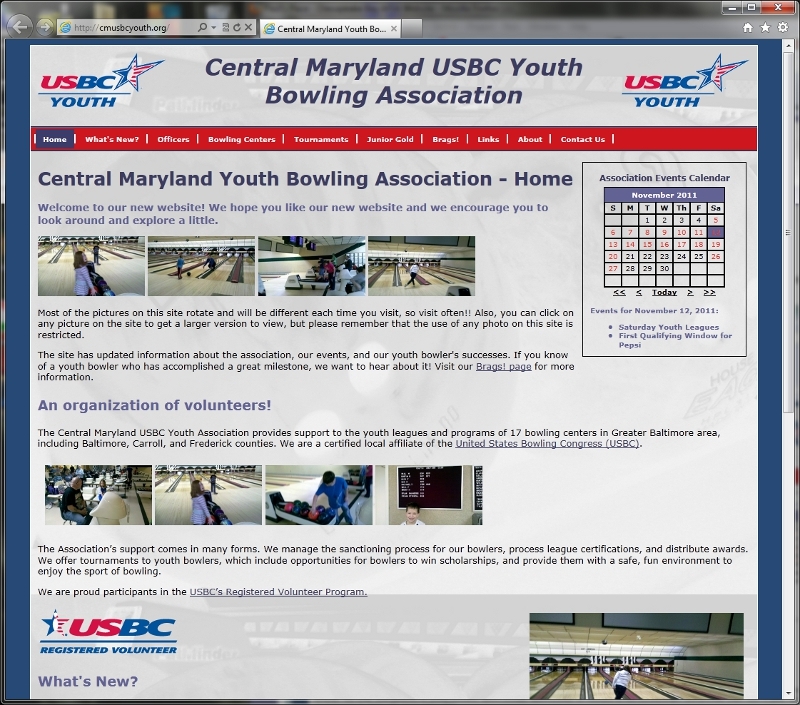 This is an example of a web site I designed for the Central Maryland Youth Bowling Association. This website contains a custom background graphic created by me and an event calendar. The images on this website rotate randomly so you see a different set of pictures on each visit to the site.